This TV Console by Coaster Furniture features a simple design with clean lines and solid construction. 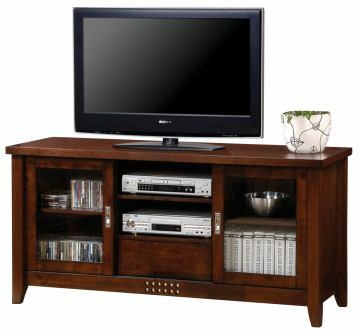 Two wood framed glass doors and open shelving provide plenty of space for your media components and accessories. Finished in a warm walnut finish, this piece will last for years to come!